It is with heavy hearts that we announce the passing of our dear Ron on Wednesday, July 18, 2018. At the time of his passing he was surrounded by loved ones. Ron was born on May 15, 1941 to Arthur and Anne Lacey. In 1968, he married the love of his life, Joanne, and they were blessed with a son Tod and a daughter Nancy. Ron, not ever being afraid to take a risk started his early years as a hairdresser, he then decided to try his hand at farming and moved into the Charolais cattle business which he loved. Going back to his roots, Ron bought the hairdressing school and built Hairitage Salon. He then decided he wanted to work with Tod and start a used car business, and from there everything grew... including the family. Ron has three precious grandchildren: Carson, Brooklyn, and Easton whom he loved dearly and always made sure they knew it. He was predeceased by his wife Joanne, father and mother, sister Bonnie and grandbaby Noah. Ron leaves to cherish his memory, Tod (Colleen), Nancy (Jeff); Carson, Brooklyn, and Easton, and special friend Charlotte. Ron leaves us the legacy of a remarkable life. We will all be forever grateful to have been a part of it. The Celebration of Ron's Life took place at Memories Chapel on Thursday, July 26, 2018. Pastor Bill Pipke officiated. Ron was laid to rest in a private ceremony at the Brandon Cemetery. 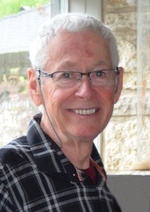 Donations in memory of Ron may be made to the Alzheimer Society, Unit 4B-457 9th Street, Brandon, Manitoba R7A 1K2 or to Fairview Home, 1351 13th Street, Brandon, Manitoba R7A 4S6.